GAUTHIER Soho – Not enough Jean Paul. I had already recommended this restaurant to a friend prior to eating at it myself, so sure was I that it would be utterly exquisite. Thankfully my friend had a wonderful experience, but my meal didn’t quite hit the mark. This particular meal was due to be a long leisurely lunch with one of the many fabulous women in my life, my Mother. Choosing venues for these occasions requires a great deal of thought, tenacity and patience. 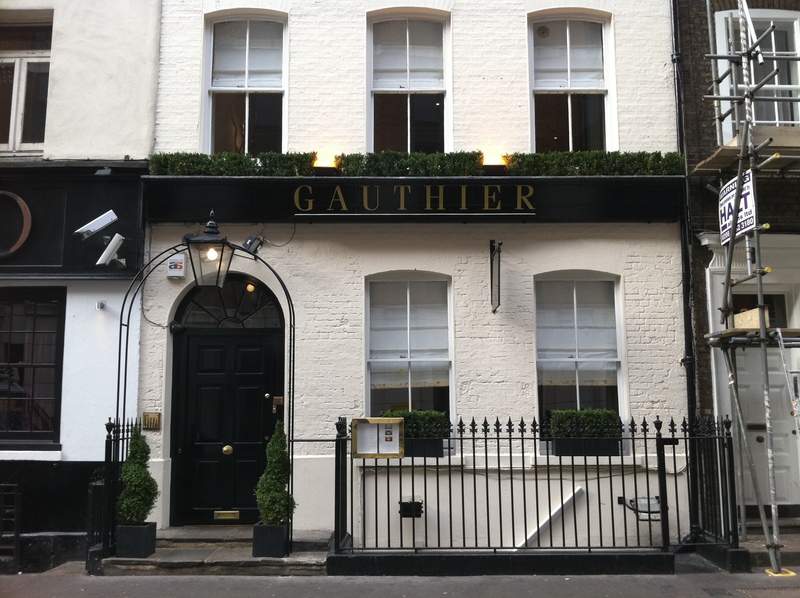 Expectation levels are usually soaring, so venue choice is key, and having been cast aside for a reservation at Chiltern Firehouse, rebuffed from Rogan’s new joint at Claridges I joined the waiting list for a table at Gauthier. Our time spent on the waitlist was luckily rather brief, so I was able to call off the hunt for a prized table for two and it was all systems go for a leisurely luncheon in one of my favourite parts of London. The restaurant itself is located within a terraced house on Romilly Street, which makes the arrival experience wonderfully quaint as you approach the huge black door and wait for permission to enter. It has a real air of exclusivity which imparted in the correct manner receives a big thumbs up from us both. Being shown to our table our feelings began to alter. The dining room itself was lacking. There was no panache and it was all quite bland. As my feet wandered over the heavy piled carpet I didn’t feel like I was in a restaurant. It had a feeling of a home where people had just moved in and hadn’t got round to unpacking or decorating. Once we were rooted in our armchairs our waiter came over with the menus – of which there are numerous. He diligently went through all of the varying options that were available to us, and I have never come across so much choice or ways to package up and supplement your meal choice, it was quite baffling and I needed some libation to make sense of it all. Eventually after much deliberation, a cold glass of bubbles and two freshly baked brioche rolls our orders were in, so we were able to resume our judgemental gazes towards the decoration – or lack of. It was also unusual that they had the blinds closed in the middle of the day, so whilst we sat on the second floor of this terraced house in the middle of the day it felt like a bat cave with a shag pile carpet. After a few brief moments we were presented with a couple of pre-starters. Firstly a pumpkin velouté, which had sadly become split and resembled the texture of baby spew which was doused in a disproportionate amount of mushroom sauce, and secondly some parmesan crisps which were extremely flavoursome and packed a great nutty punch of fromage. To start with we had a Crustacean Medley swimming with slivers of squid. Now I may be wrong but the last time I checked squid or octopus wasn’t part of the crustacean family. The dish itself was actually delicious with an oceanic lobster bisque, but tentacles were not what we were expecting, I wasn’t about to split hairs with the staff about differences between molluscs or crustaceans so swiftly got over it. Main courses followed shortly after, and this was the most disappointing part of the lunch. I ordered pheasant, and it was just bad. Over cooked, under seasoned sinewy meat that felt as though I was chewing on Paula Radcliffe’s left calf muscle. There was an absence of appropriate accompaniments with this dish and the Savoy cabbage that was supposedly gracing my plate was so negligible in size that it may as well have been omitted. Chef patron Gauthier is billed as being a ‘vegetable magician’, well he was certainly very competent as he had made ours completely disappear. Clearly the rabbit he had in his hat had been busy. Rounding off proceedings we had some coffee and petit fours, which is worth mentioning purely down to the crockery that was used. 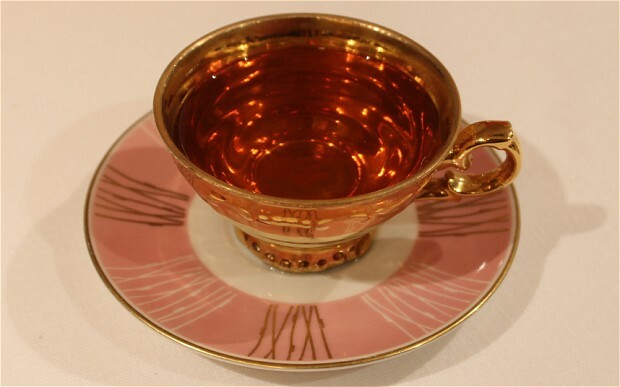 It was beautiful, unique little vessels with bold colours and individual styling. Perhaps an indication of where they ought to draw inspiration for the decor? I think you will likely find more atmosphere on the moon than in Gauthier. Clientele on this particular Tuesday afternoon was predominantly city boys bragging about how many times they ‘bang their mistress’, displaying language as colourful as the coffee cups. Perhaps the weekend would see a more representative cross-section of those of us spending our own hard-earned pennies as opposed to the expense accounts. There were some great nuances running throughout the lunch such as the arrival experience, the complimentary mineral water, the stylish crockery and the comfort of the dining room. There has clearly been a lot of thought placed on this restaurant, just not in the areas I consider most important – like the food. I have decided to save the best for last and that is the service. It was impressive. The boys had the correct amount of rapport and charm, and timed the whole experience with Swiss watch precision. 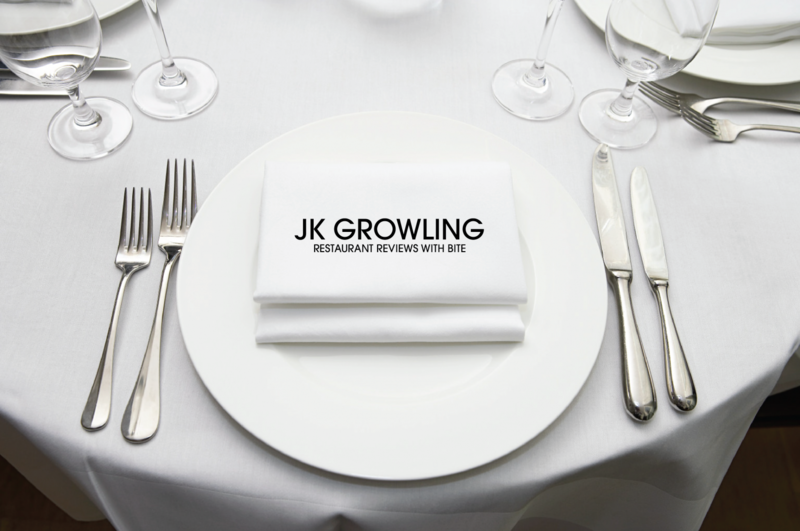 Service recovery was also dealt with swiftly and sans drama – you didn’t think we were going to pay for the pheasant did you? Table for 2 £112.50 with wine including service. 21 Romilly Street, W1. (0207 494 3111 gauthiersoho.co.uk) Open Tuesday to Saturday lunch and dinner, Monday dinner only. → MISSION Bethnal Green – Mission accomplished or mission impossible? ← The Island of Malta – A culinary roller coaster ride.